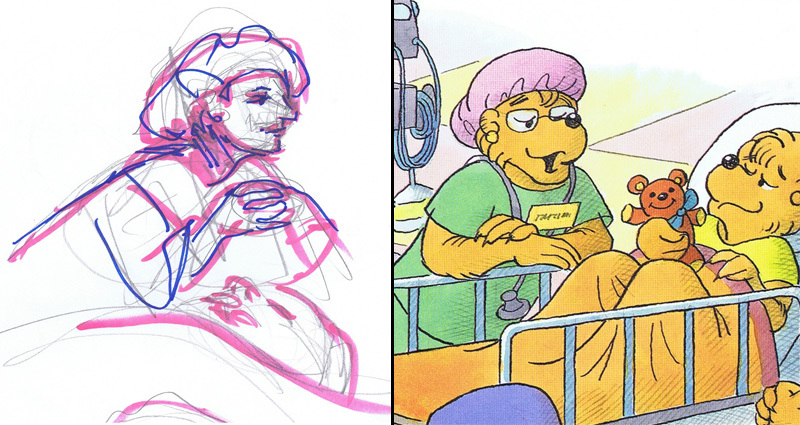 Here at Berenstain Studios we get a lot of questions from readers through fan mail, our social media pages, and in person. We asked our followers on Social media what their biggest questions about the Bear Family were and we’ve picked a few to address here on the blog. 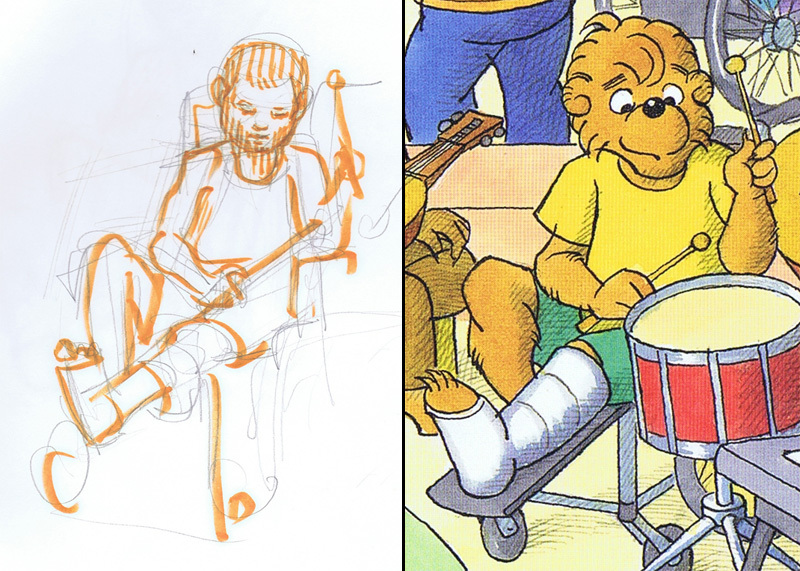 Check out our the Questions and Answers below to learn more about Stan & Jan, the making of the Bear Books, and where we’re going in the future! 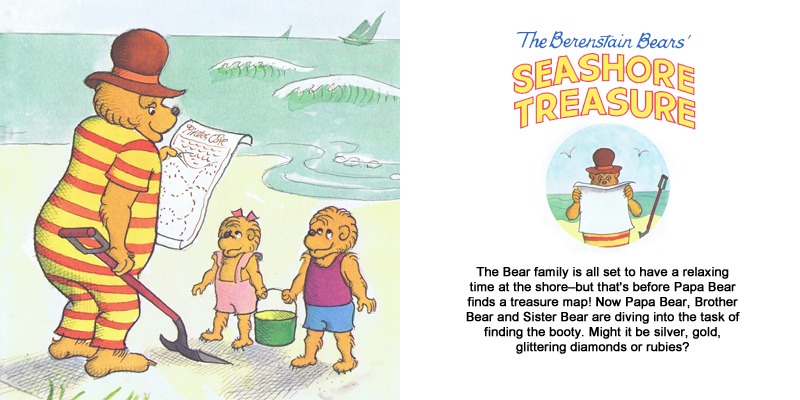 Q: Why do you think the Berenstain Bears books have been so successful after all these years? 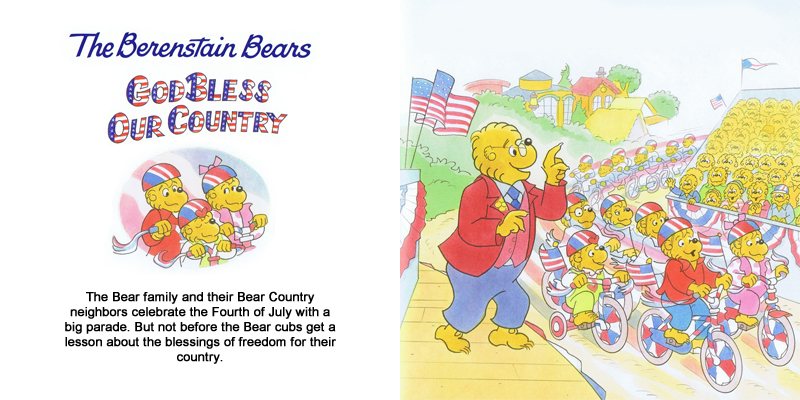 A: There are several reasons the Berenstain Bear books have remained successful. 1. 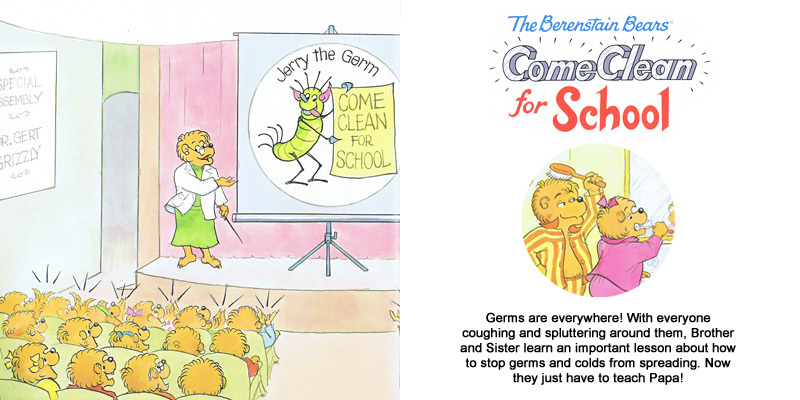 The books use humor targeted specifically to the psychological needs of young children. Sometimes, this humor is completely misunderstood by adults. For instance, the character of Papa Bear–accident-prone, over-confident etc.–is a simple role-reversal, or Topsey-turvey form of humor. 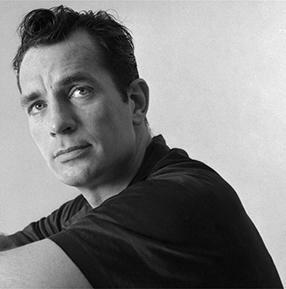 Fathers are authority figures, often dominating, overbearing and downright frightening ones to young children. Showing a father as error-prone and fallible is hilarious to young children due to its incongruity–its turning-reality-on-its-head quality. Adults often interpret this feature as simply disrespectful of fatherhood and undermining parental authority. but this shows a complete misunderstanding of and, frankly, callous, insensitivity to the real power structure of adult/child relations. 2. 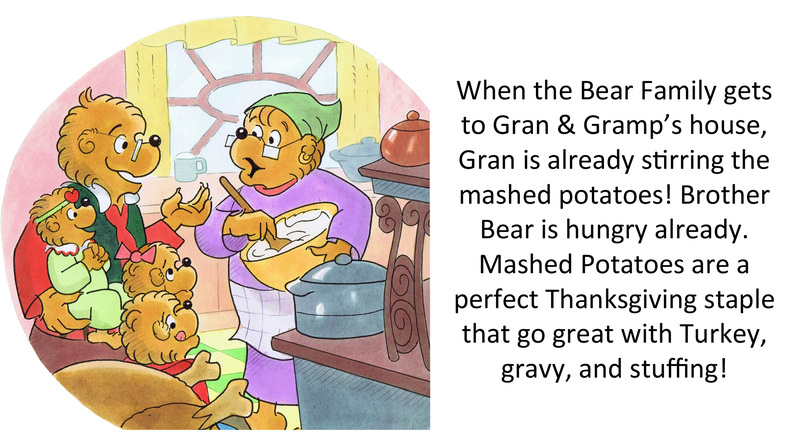 The stories, also, are targeted to the narrative forms and subject matter appealing to young children. 3. Most of the books offer helpful advice about and explorations of family and social life. 4. 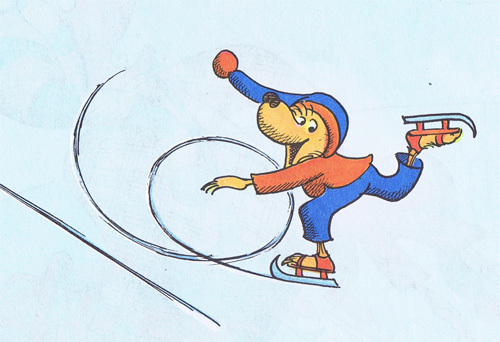 The art combines a cartoon style with naturalistic representation–for instance in the use of shadows and perspective to show dimensional and spacial effects. 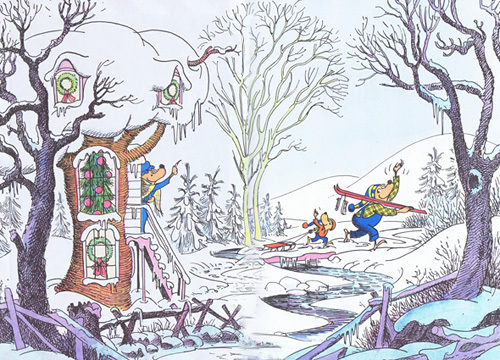 This is derived from standard early 20th Century techniques of illustration and, while no longer common in contemporary children’s books, is particularly appealing to the visual sensibilities of young children. Q: Was there a point that Stan & Jan thought they were falling behind with new trends to children books? 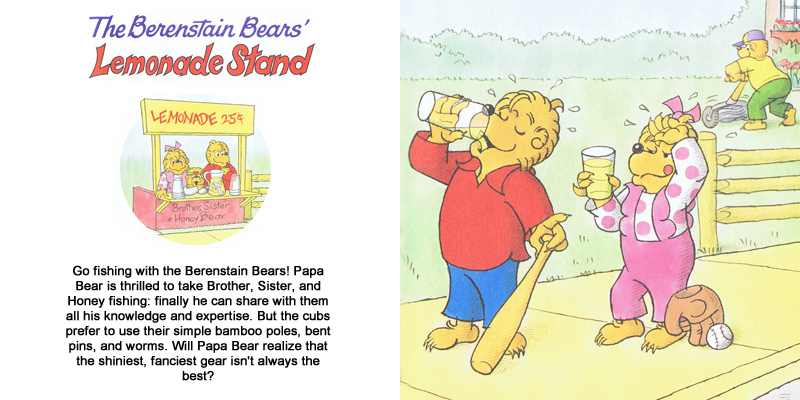 A: If this were rephrased as, “Was there a point that Stan & Jan ignored new trends in children’s books?”, the answer would be, “Yes.” Stan, Jan and Mike Berenstain had absolutely no interest in “new trends” in children’s books. 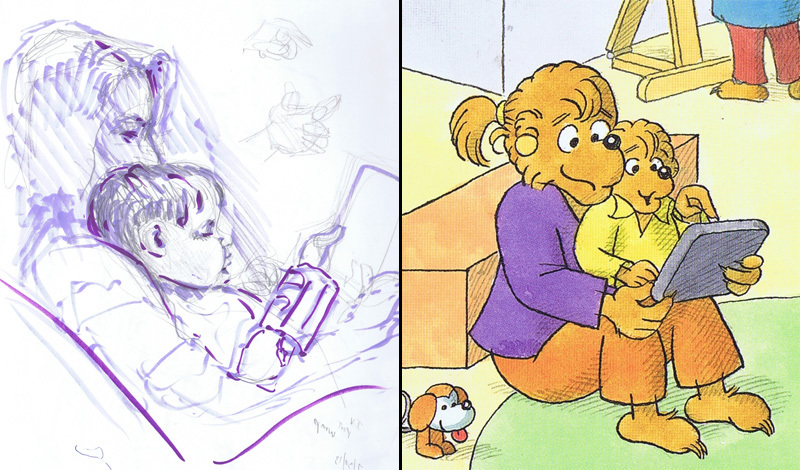 they did, and do, create the kind of children’s books they like and which they think children will identify with and enjoy. Q: Main. Classics. Living Lights. What is the most popular book in each line? Q: Will there be a movie out soon about the bears? Or TV show again? 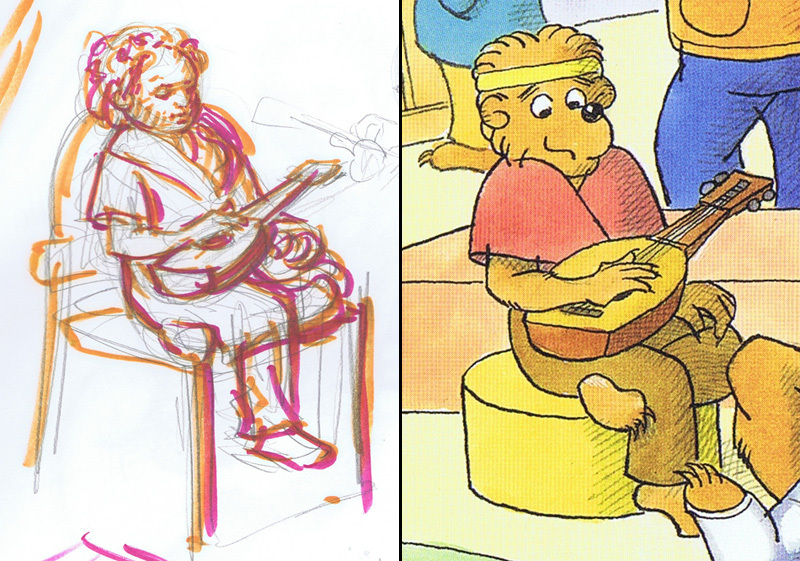 We are working on creating new animated Bears content, but have nothing concrete to report yet on that front. However, we have archived all of our 1980’s TV show and specials and uploaded them to our YouTube Channel. All of the PBS series is also available to view on the Treehouse Direct YouTube Channel. 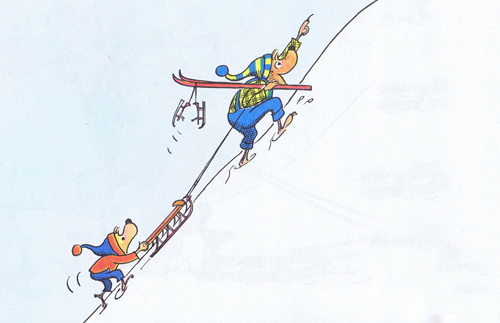 Q: Why doesn’t Brother and Sister Bear, have a name like Cousin Fred? 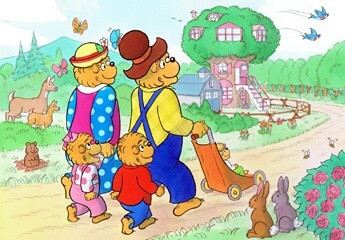 Second, the Bear family was introduced in 1962. This was the tail-end of a social and cultural period where it was quite common for family members to refer to each other by their family positions rather than their names. 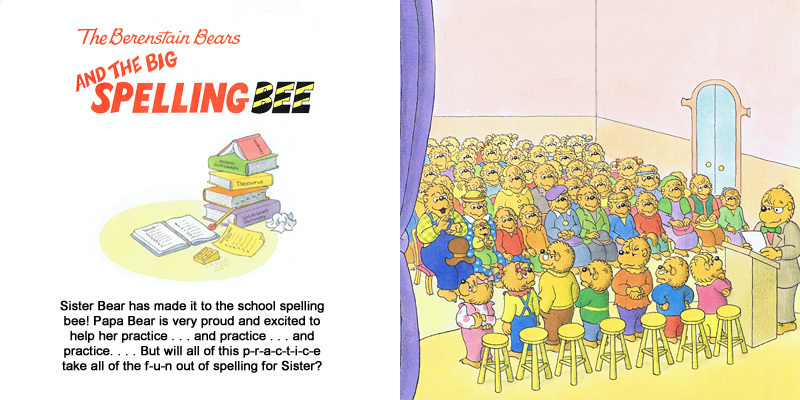 People really did refer to each other as “Brother,” “Bro,” “Sister” or “Sis.” So the Berenstain Bears books reflected this origin. But this naming convention of the early 20th Century nuclear family was not applicable to new characters as they were introduced over the years. 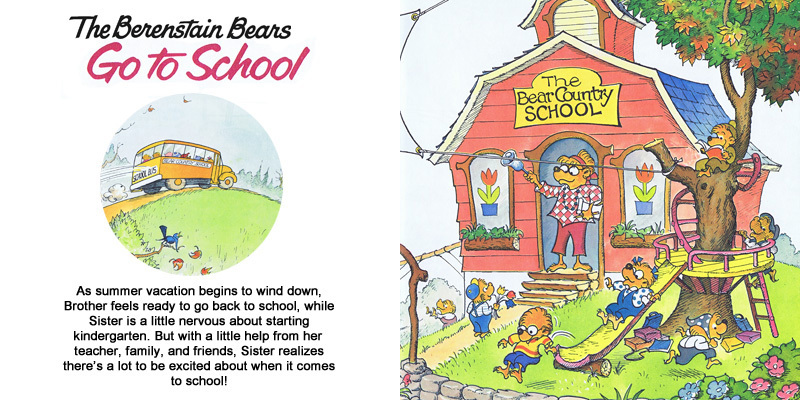 Q: How many Berenstain Bears books are there? 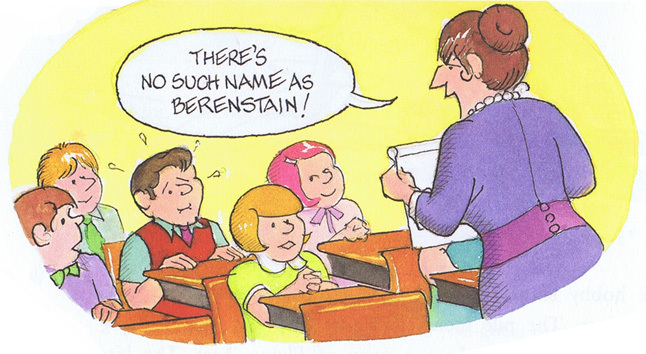 Q: Did Stan and Jan have a favorite Berenstain Bear book? 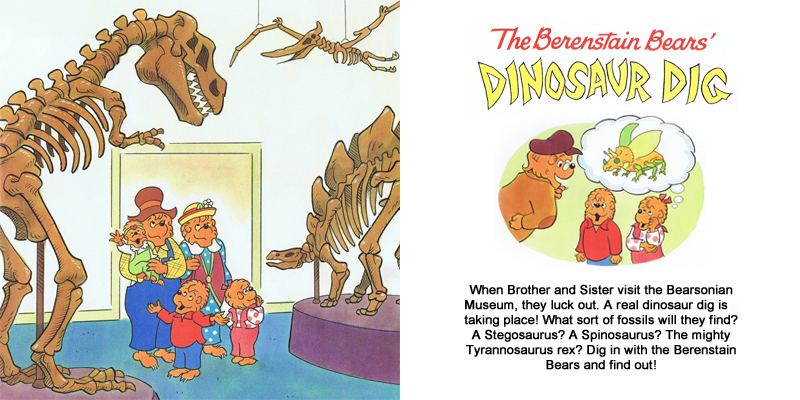 A: Stan and Jan’s favorite book was probably The Berenstain Bears and the Spooky Old Tree. Because of the content of the story, the book was fun to illustrate; with creepy stairways, alligators, suits of armor, and deep shadowy passages. Q: What was the inspiration for the Living lights series? 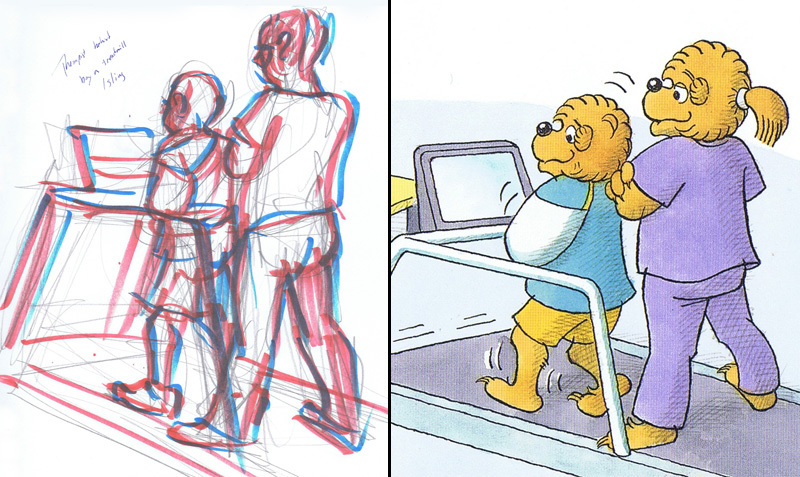 A: In 2005, we moved the publishing of new Berenstain Bears titles from Random House to HarperCollins. Zondervan, a major religious publisher, was part of HarperCollins. 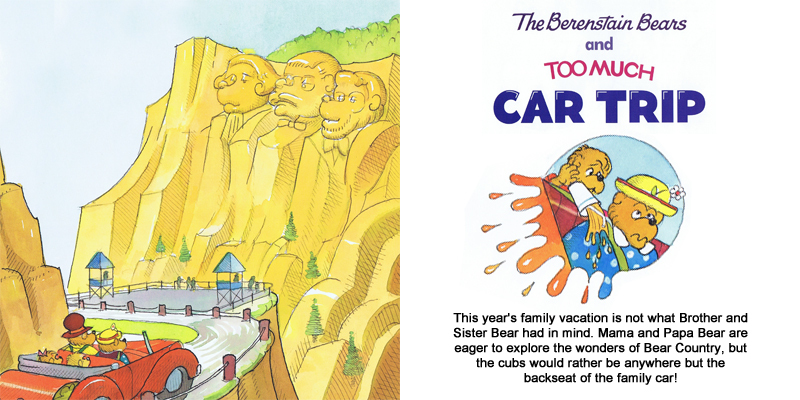 Because of his own faith, Mike Berenstain was interested in creating children’s books on spiritual themes. 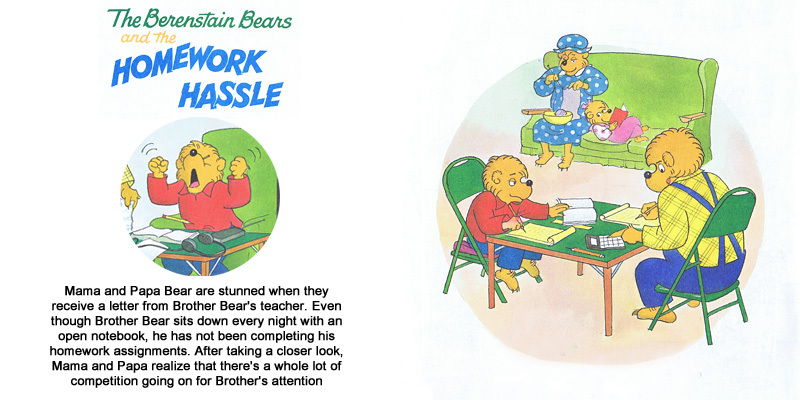 Stan, Jan & Mike were aware that the Berenstain Bears had always been popular in the religious marketplace due to their positive treatment of ethics and family life. 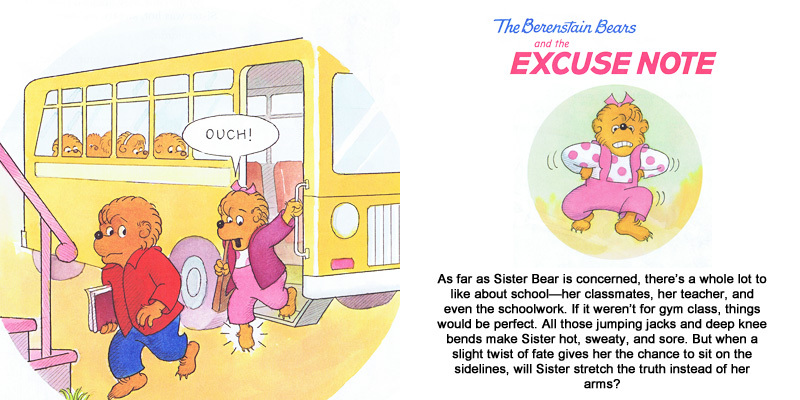 So, they approached HarperCollins with the idea of creating a separate line of Berenstain Bears books on spiritual themes. HarperCollins agreed to this and Zondervan began publishing the Living Lights series in 2008. 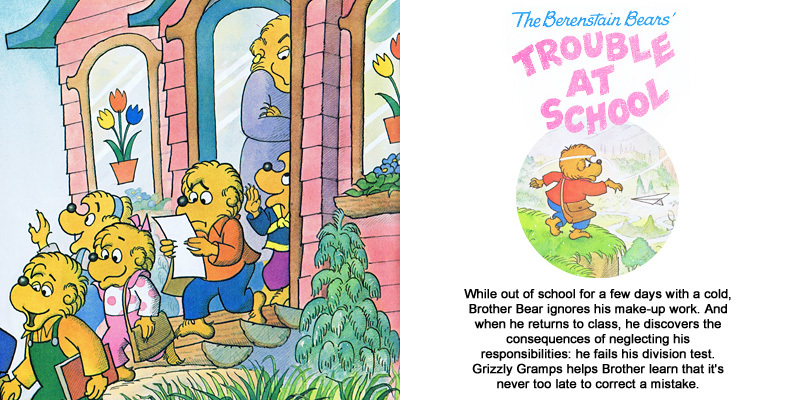 February 20 is National love your Pet Day, and to celebrate we’ve pulled together a reading list of all of our favorite Berenstain Bears Pet stories! Check out the list below to see what books we suggest for you and your pet loving cubs. Brother, Sister, and Honey Bear love their pets Little Lady, Gracie, Swish, and Cutsie … they are just like part of the Bear family. So when Preacher Brown holds a special Blessing of the Pets service on Sunday, the Bear family joins in. But what starts as a peaceful gathering of Bear Country neighbors and their animal friends on the lawn of the Chapel—including dogs, cats, rats, goats, and even a snake or two—ends up needing a little heavenly intervention. Brother Bear may have gone looking for bullfrogs, but he found a tiny, helpless kitten instead. After Mama Bear gets the new kitten all cleaned up, the Bear family is ready to adopt her—as long as Little Lady, the puppy, doesn’t mind. 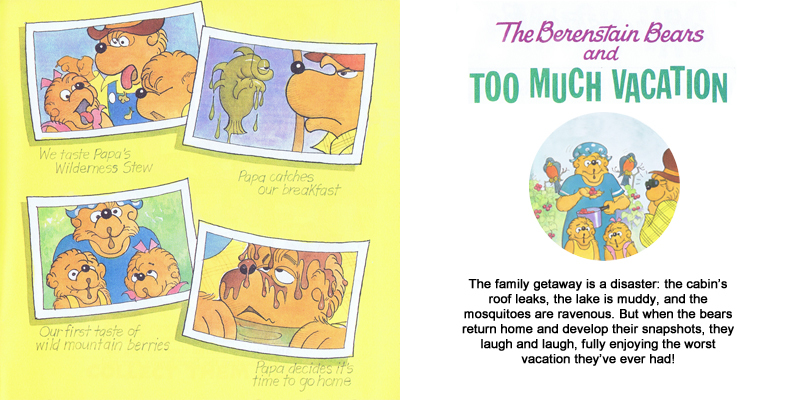 With a little extra love, the Berenstains are sure their pets will be great friends! Brother and Sister are getting a dog, but will the cubs help take care of the new puppy like they promised? The Bear cubs learn what a big responsibility it is to care for a pet as they learn to care for Little Lady! Sister Bear loves taking care of her pet goldfish, Goldie. Sister feeds Goldie every morning and evening, cleans out her tank, and even gets her a beautiful fishbowl castle! But when Papa and Mama find Goldie floating belly-up in her tank, they worry about how Sister will feel. 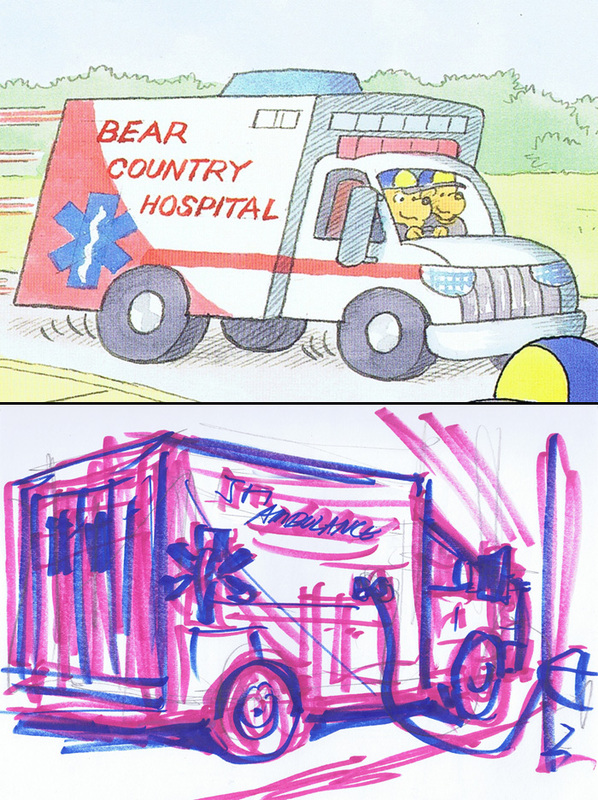 How will the Bear family cope with the loss of Goldie. There’s going to be a pet show at the Bear Town Festival this year. The Bear family makes sure all their pets—Little Lady, Gracie, Swish, and their new bird, Keats—look and feel their best for the big day. Who will Mayor Honeypot give prize ribbons to? We hope you take an opportunity to appreciate your pet on National Love Your Pet Day, and use these books as a resource to help your cub learn about the responsibility of caring for a pet every day! It can be daunting to create the perfect Christmas for your cubs; The perfect tree, cookies, matching ornaments. But we think a picture perfect Christmas takes some of the fun out of the season. We have picked out some Do-it-yourself crafts and recipes that you can create with your little ones, and in turn craft perfect Christmas memories and a few mementos. First up, Ornaments! The ornaments Below can be made with odds and ends around the house, with kid-friendly materials. We also have a cut out ornament you can create with just a printer, pair of scissors, and paste. First right click on the image of the ornament and save it to your computer. Print on a heavier paper like card stock, and follow the directions also included below. Are you decorating the outside of your home as well this year? Don’t forget about the local outdoor creatures! Below are some ornament ideas that will provide a treat for birds, squirrels, and other wildlife! Now that you have your decorations ready its time for some Holiday themed treats! 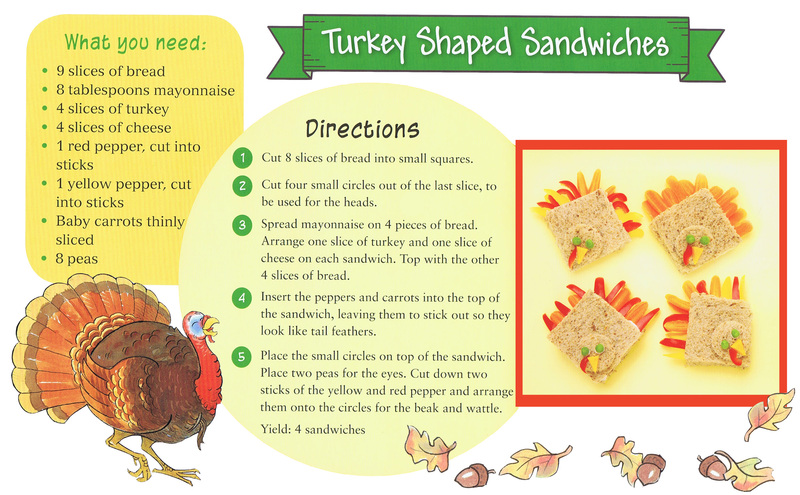 Any of these recipes would be great for a crowd, snack time with the kiddos, or an after dinner dessert. We hope you have a fabulous holiday season full of special times with friends, family, and of course a good book! Are you having trouble coming up with a costume idea for your little ones? 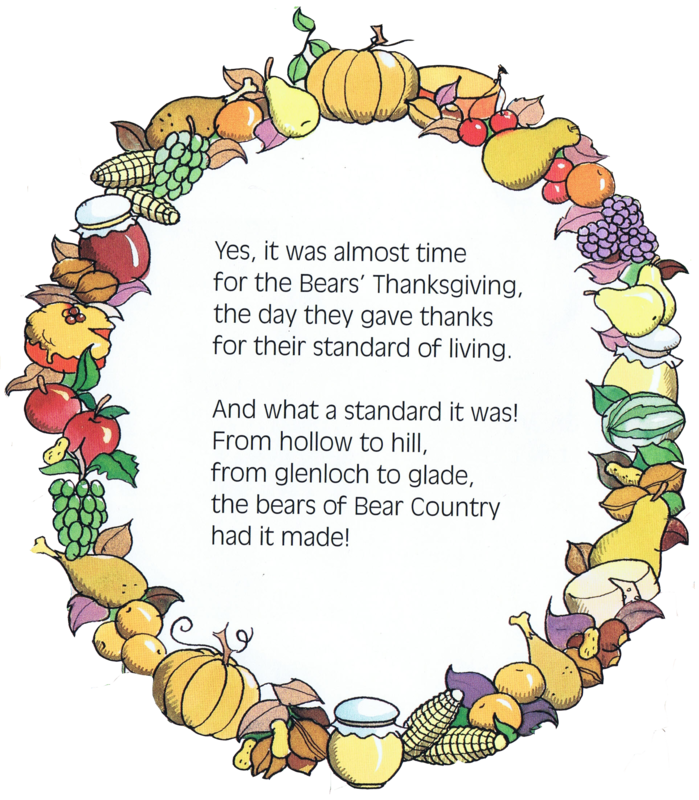 Takes some inspiration from the Berenstain Bears! Below we have costumes that have shown up in our books that could work for your cub’s trick or treating. 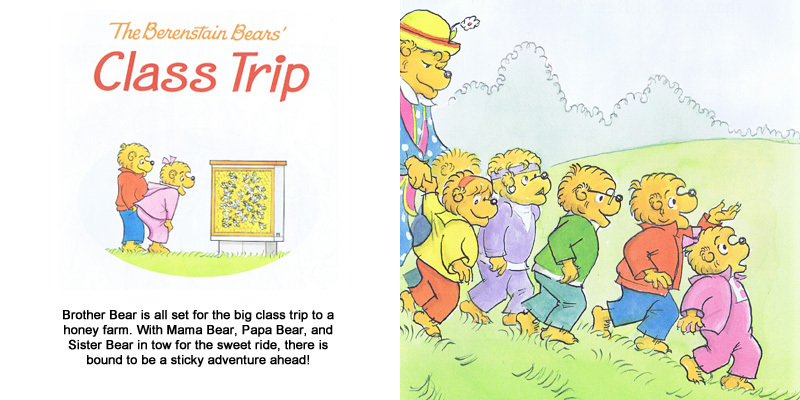 In The Berenstain Bears are Superbears the bear cubs suit up in their own super-suits! Craft a super hero outfit perfect for your little one with some tights, unitard, and some felt masks and personalized symbols! 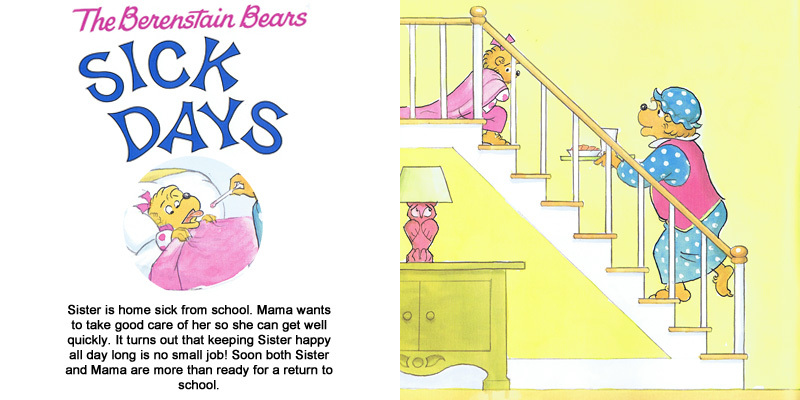 Sister Bear dresses up as a princess in The Berenstain Bears Get Stage Fright and The Berenstain Bears Go on a Ghost Walk! A pretty dress just needs a crown to top off this royal costume. Arr Mateys! It is time to go and find the treasure, candy treasure! 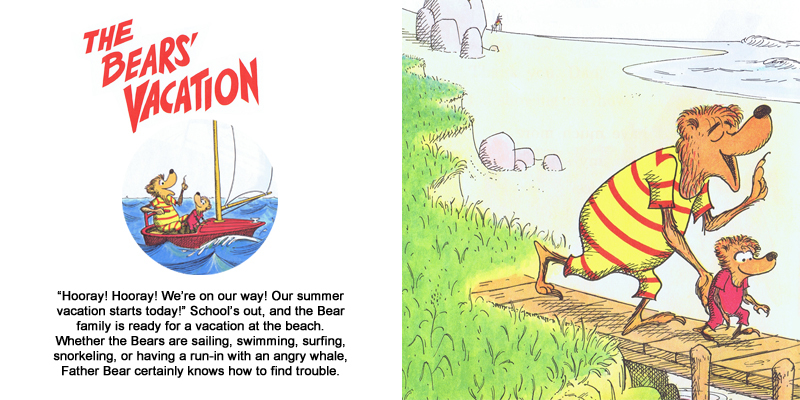 The Bear cubs use their imagination in The Berenstain Bears’ Pirate Adventure to conjure up some very authentic Pirate costumes. 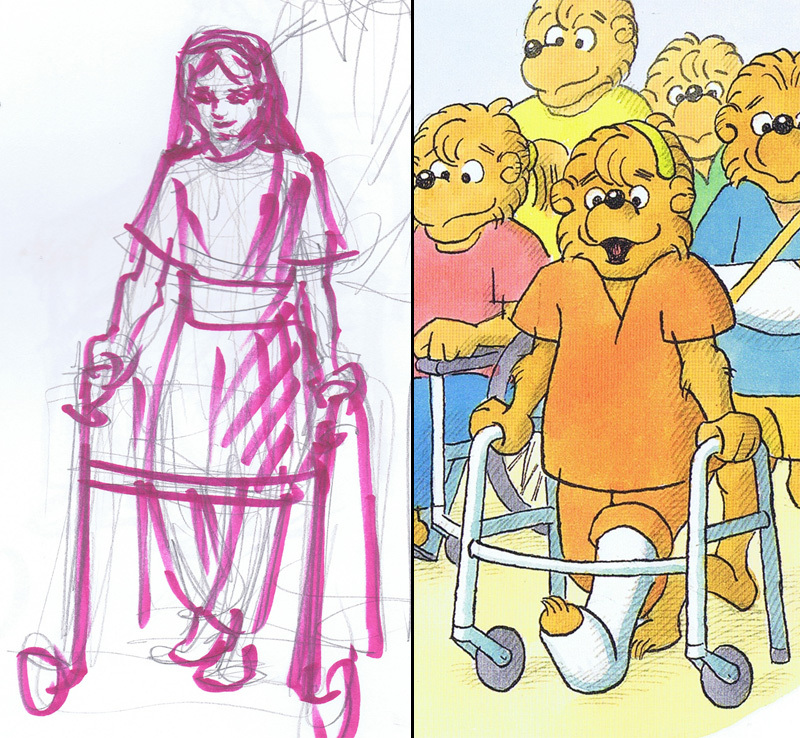 A peg leg may be impractical for trick-or-treating but every good pirate costume could use an eye patch like Honey Bear’s and a pirate hat. Nothing is easier than a homemade ghost costume! 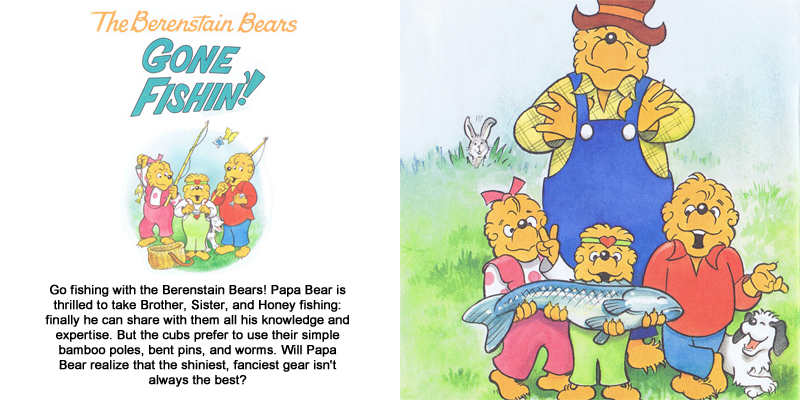 Papa Bear crafts one quickly to scare the Bear cubs in The Berenstain Bears and the Ghost in the Forest. Just cut some eye holes and in a sheet and voila! immediate costume. 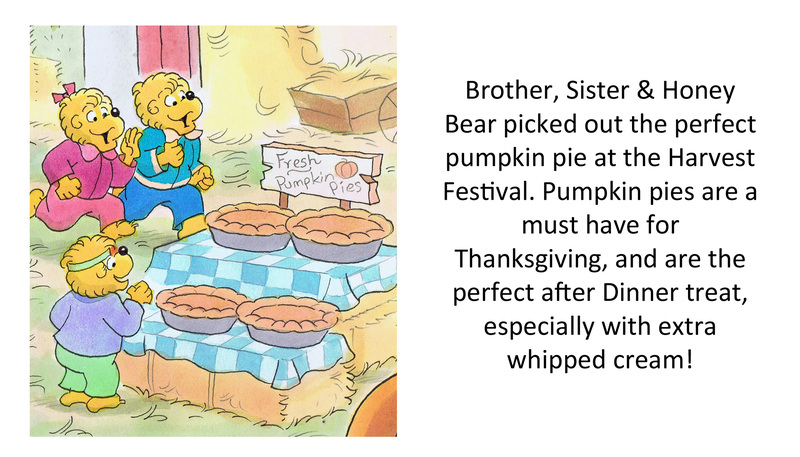 Sister Bear dresses as a ballerina in The Berenstain Bears Trick or Treat. Tights and a tutu complete this costume, and your little one can pirouette from house to house for treats! 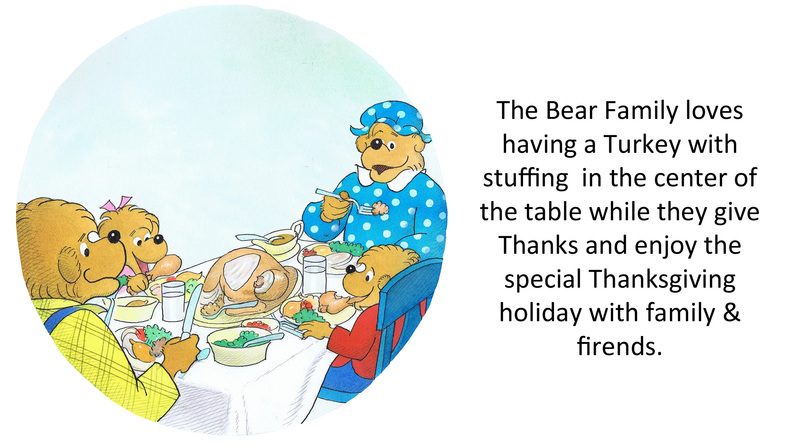 The whole family puts on fire fighter gear in The Berenstain Bears Visit the Firehouse! A plus side to this costume is that raincoat and firefighter hat make sure your cubs stay warm while out on a cool fall night! 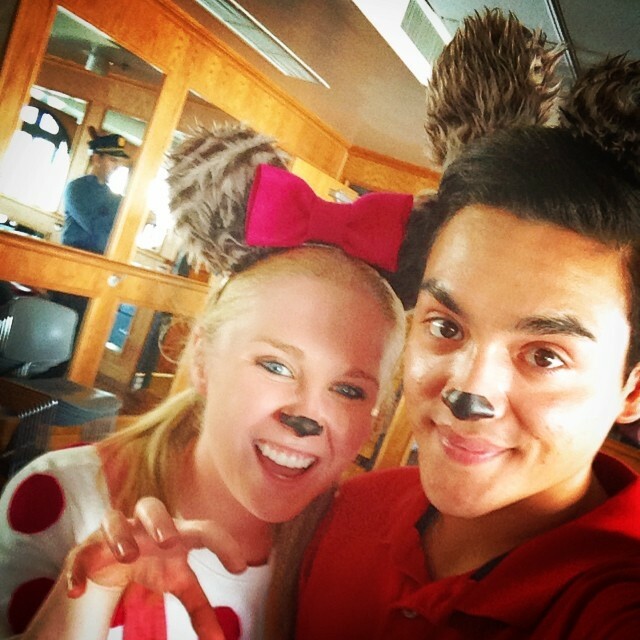 We hope you have a wonderful Halloween and please share with us your cub’s Halloween costumes via our Instagram or Facebook! Mother’s Day is right around the corner and Father’s Day is not too far behind! Celebrate Mamas and Papas with a list of some of our favorites. 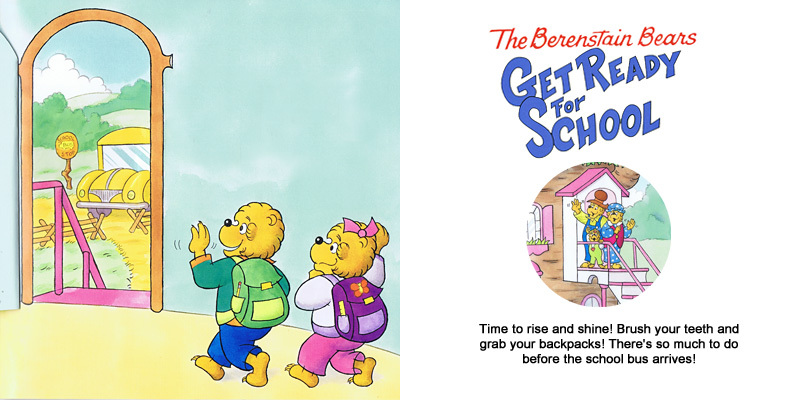 The Berenstain Bears We Love Our Dad! “At the end of the school term, though, girls were talking about joining the WAVES or the WACCS or doing war work. 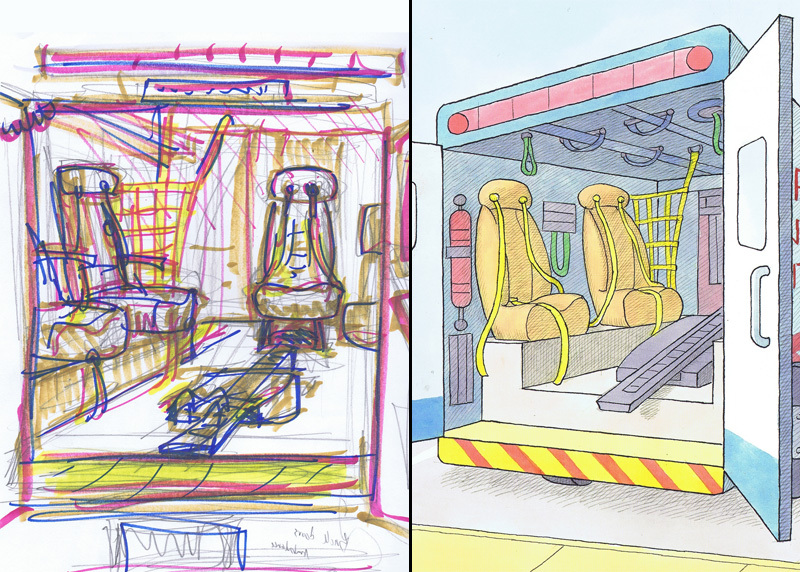 I was definitely missing the the inspiration of working with a full class of talented artists, too and told Mom and Dad I was going to take a year off from school and earn some money, starting that summer. 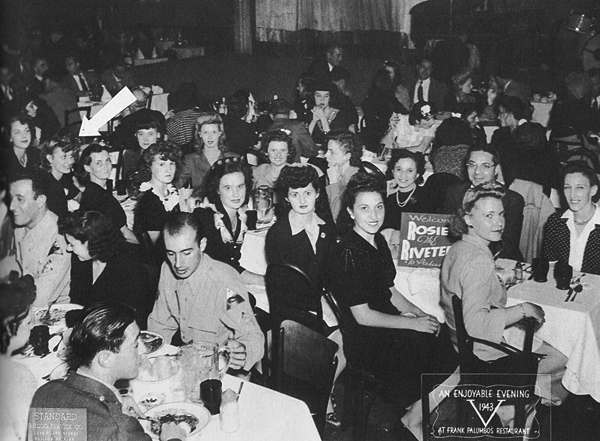 Jan’s seated on the far left at the graduation celebration for her Riveting class. The PBY Catalina Jan worked on at Brill’s served as a Maritime patrol and search-and-rescue seaplane. 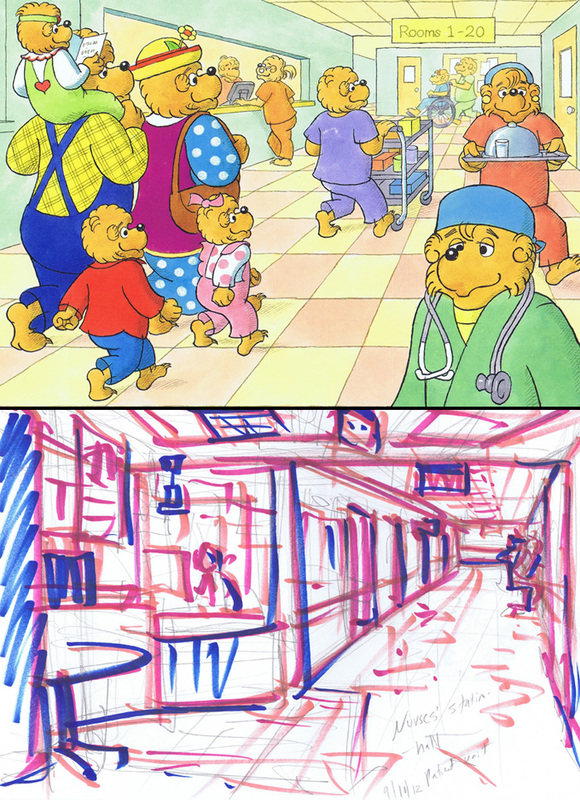 Recently Mike Berenstain unearthed an Essay written by Jan after her return to school, describing more in-depth her experience working at the Brill Trolley Car Factory. It is a stream of consciousness writing that vividly portrays the day to day bustle and exhaustion brought on from the tireless work done by Jan and many women left stateside during WWII. Summer is right around the corner! 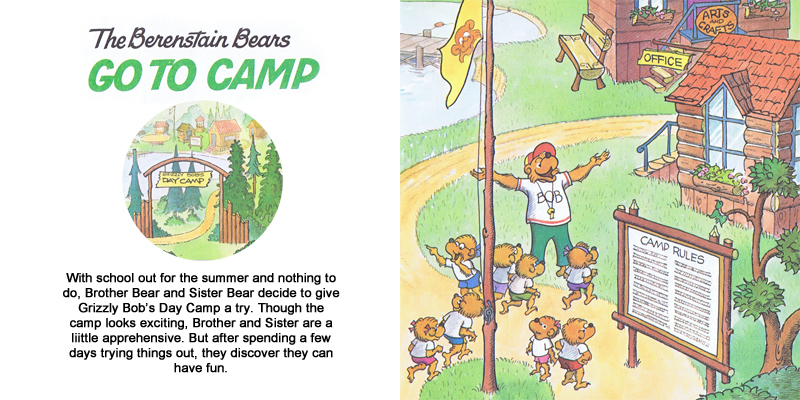 Here are ten things The Bear Family Loves to do during Summer Vacation.